There’s no question in my mind. The stand out cuts of lamb are the shoulder and the neck. Both are perfect for slow cooking and the neck in particular is versatile enough to work for everything from an Italian ragu to an Indian curry. But, if you’re looking to impress (yourself or guests) with minimal preparation, then nothing beats a whole lamb shoulder. If you give this recipe a shot then source top quality lamb. Where possible I buy lamb from my local farmers market. And, if I can’t get to the market then I have a couple of trusted butchers. If you’re paying around $20 per kilo for lamb shoulder then that’s a sign of good quality. Look for lamb that’s clearly sold as pasture raised/organic/grass fed. If in any doubt ask your butcher. For me it’s the only way of preparing this recipe in line with my Feast Wisely philosophy. That’s enough on that, with the right lamb the following recipe is a breeze. Note: It’s fine to use a smaller portion of lamb (many butchers sell portion of around 1.2kg) – simply adjust the quantities and reduce the cooking time. You’ll see in the following steps that I refer to using a “roasting pot”. You really can make this recipe in any type of pot or even a Pyrex dish. But for the best results I use my treasured Le Creuset cast iron cooking pot (28cm casserole). It was a Christmas gift to myself and well worth the investment. Check out the Le Creuset website for the full range – and note you can pick them up much cheaper if you don’t buy direct. Alternatively I use the terracotta oven dish you can see in the photos. Finely chop all of the herbs and add to a bowl with the crushed garlic. Season generously with salt and pepper and add the olive oil and lemon juice. Massage the mixture evenly into the lamb shoulder and marinate in the fridge for at least two hours (or as long as overnight). Remove from the fridge an hour before cooking and add to a roasting pot with the fattiest side facing upwards. Roughly chop the onion and carrots and add those too. Pre-heat the oven to 150 degrees (conventional setting) and cover the oven pot with baking paper, foil or a lid. Cook for a total of around four hours. Half way through take off the lid and baste the lamb with the juices. If the meat is drying out add a little water. If you’re adding potatoes then throw them into the oven dish around an hour before the end of the cooking time. Once you happy the lamb is close to being tender enough to fall from the bone remove the lid and cook uncovered for the last 20 minutes to give the lamb a wonderful crispy skin. Remove from the oven and reserve any remaining pan juices. Keep the juices warm in a pan while resting the lamb for 10 minutes – they’ll become your gravy. You can serve this dish with any mixture of vegetables. My top picks for side dishes would be roast potatoes with rosemary (cooked in duck fat) and/or Dutch carrots (roasted in baking paper parcel with butter and cumin). And of course some green vegetables go well – perhaps peas or one of my simple favourites Tuscan cabbage (cooked in a pan with garlic and olive oil). I recently came across consumewithcare.org whose aim it is to raise awareness of the plight of animals impacted by the carnivorous ways of humans. As they point out there’s no need to approach lamb with the same level of suspicion as chicken. This is because Australian lamb is generally reared outdoors, grazing on open paddocks, without the confinement issues associated with other types of meat. But that doesn’t mean all lamb is equal. A portion of lamb is finished in confined feedlots – where grain is provided as the food source for up to eight weeks, to achieve a desired consistency and weight. 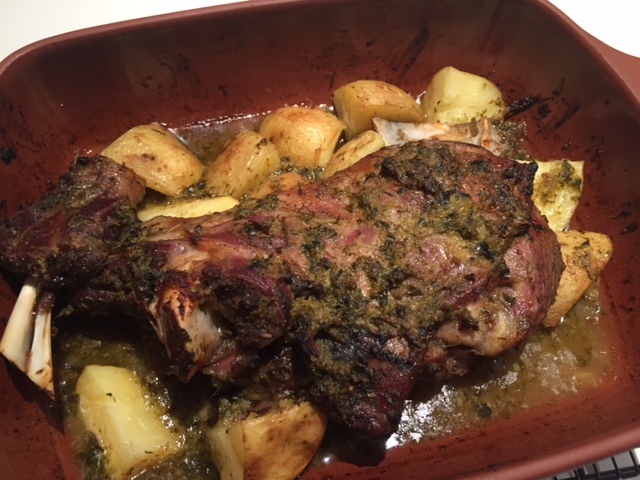 Tags: lamb shoulder, le creuset, recipe, slow cooked. Bookmark the permalink. 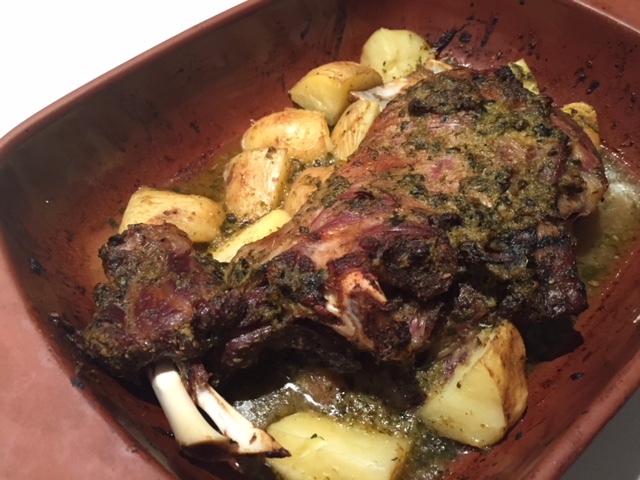 Whole lamb shoulder looks fantastic…. I hope to taste it soon… I will follow your recipe and try to cook it the way you do it. Thanks. Yes please do and let me know how it goes – do remember to find the best quality lamb you can as it really makes a difference. I’ve personally tasted this lamb shoulder of yours it was fantastic. Made with love and eaten with roasted vegetables. This dish will be reincarnated in a loving little home back in Yorkshire. Also the Public Dining Room on Balmoral Beach do a wonderful take on this and should not be overlooked. Remember in beer there is freedom, in wine there is wisdom and in water there is bacteria. I don’t think George would mind me using this quote. Thank you Dean – I can’t wait to hear about how your Yorkshire version of this dish goes. I have also reviewed Public Dining room – and their lamb shoulder – so check out that review too! 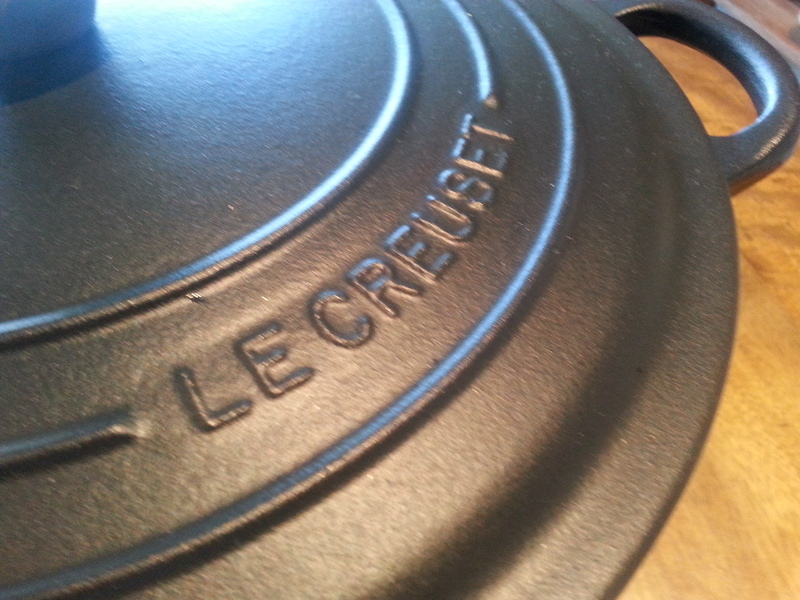 Oooh – LOVE the satin black le Creuset. Mine isa petrol grey that is no longer in production. Yours is sexier! Hard to beat slow cooked lamb shoulder in the le Creuset – on permanent rotation at ours! Thanks – yes the black cast iron finish is much more long lasting than the ons coloured in red or green etc. 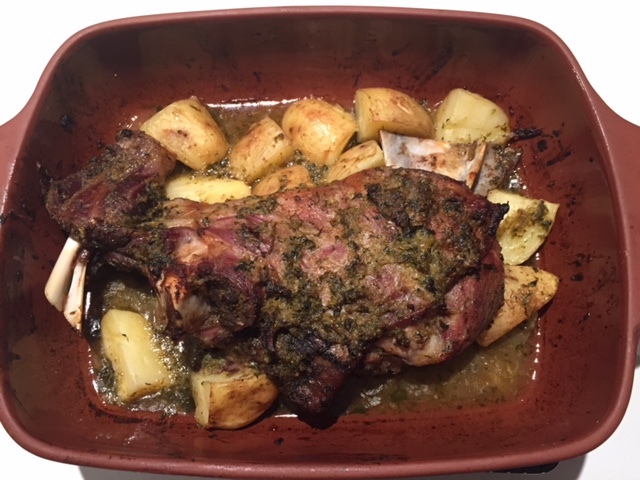 Oh and lamb shoulder – it’s my favourite, doin one for Christas day this year!